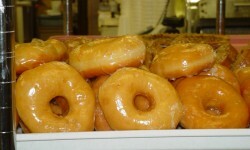 Bring your donuts into the storehouse. This is definitely what robbing God looks like. Except, if it were me, i would have given Him the jelly ones back since i don’t like those.